As systems become bigger and more complicated they may fragment into a larger number of smaller parts. There are many reasons for this behaviour but the essence is that the integrity of a system requires the parts to be connected to each other in some way. Bonds that hold them together – bonds that are stronger than the forces of disruption that are always battering them. In some systems these bonds are physical and chemical. 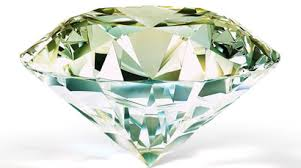 A diamond does not fragment, even under extreme pressure, because the chemical bonds between the carbon atoms in the crystal lattice are very strong . A diamond is not alive – the atoms cannot move around – and that is the secret of its extreme strength. So a diamond cannot adapt either … it is durable but it is dead. In biological systems the bonds are informational. 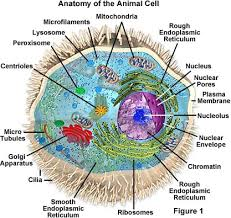 A cell maintains its integrity because the nanoscale component parts are held together physically, chemically and with information. Inside a cell the atoms and molecules move around – and that is the secret of its survival. It is alive. It senses. It responds. It evolves. It endures. And it is mortal. So are the organisms made from cells. A lichen, a tree, an animal and a person. And so are the organisations built by and from people. A couple, a family, a tribe, a nation, the world. And it is informational bonds that hold people together – it is how they share data with each other. These bonds manifest in many ways. Our senses – especially sight, sound and touch. Our language – body, verbal and visual. Our learning – individual and collective. And our emotions, beliefs and behaviours that emerge and evolve over time. We all know we are mortal. We strive to protect our identity; and we yearn for longevity. We do not want to die. We want and need integrity – at all levels from chemical to cultural. 3) Shared pledge of acceptable behaviours. 4) Shared pool of data, information, knowledge, understanding and wisdom. Everything else is dynamic. What we believe, what we decide, how we learn, what we do. It is that variability and adaptability that is part of our collective strength along with our shared commitment. And the balance is critical. Too rigid and we cannot flex quickly enough to a changing environment; too fluid and we fall apart at the first challenge. We need both stability and agility – so our system of information flows must be fit-for-purpose. And the price we will all pay for not achieving that critical balance is death-by-fragmentation.